I'm super excited to share the details for my second makeup meet-up this Saturday! I explain it all in this video and this post and I'm trying something new this time around. Check it out! 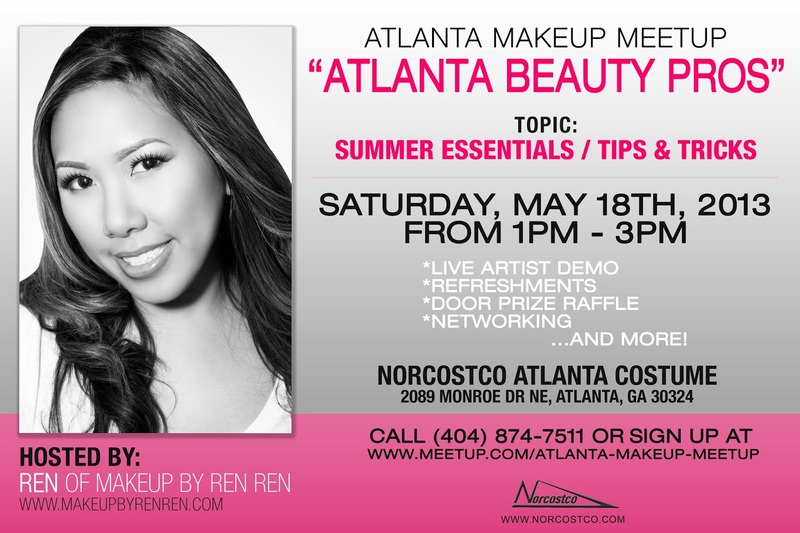 Please RSVP and Register at http://www.meetup.com/Atlanta-Makeup-Meetup/ it's free, we just want to know how many people to expect. Feel free to bring a friend. It's getting hot in here Atlanta! Make sure to attend this meetup before your face and makeup sweat off in this summer's heat!! We will be discussing product tips and tricks to keeping your summer glow beautiful without the shine! There will be a demo, giveaway and time to network. Show up to the Meet-Up with your favorite bright lippy. This is definitely on trend for summer. I'll pick my favorite to win a prize. Come to the Meet-Up with your favorite summer makeup trick. Share with the group and i'll pick my favorite to win another prize. Bring your business cards, cameras, and get ready to laugh and learn. See you Saturday! Let me know if you're coming in the comments below. FTC Disclosure: Post not sponsored. I am not being paid to host this event. It's free for everyone simply for the purpose of bringing together Atlanta Makeup Artists and Enthusiasts.